WRC’s newest, and prettiest, boat has officially been welcomed to the fleet. 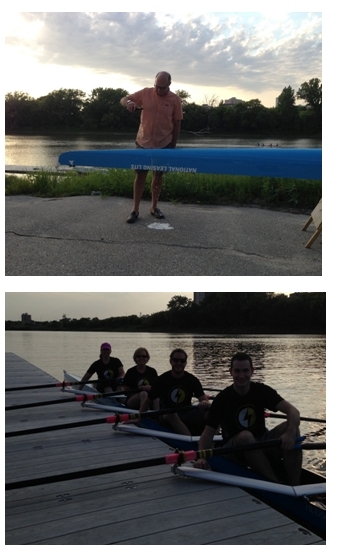 At a club barbecue held on Friday, August 23rd the “National Leasing Lite” was christened by newly named President of National Leasing, and long time rower and WRC member Tom Pundyk. The honorary first row in the boat was taken by members of National Leasing’s Community Rowing Challenge team Carolyn Van Herkson, Dannette Shaw, Andrew Thorne and Justin Rowan. The National Leasing Lite is a lightweight women’s Hudson quad which was generously sponsored by National Leasing Group.